Tanzania epitomises ‘safari’ Africa. Whether it’s a herd of elephant crossing in front of you, a stampede of wildebeest or a perfectly framed giraffe and acacia in the sunset, the scale of the place, and the sheer beauty of its natural bounty cannot fail to impress. For a holiday, Tanzania is a smart option – there is very little time change (GMT+3hrs) so you don’t spend all your time off feeling scrambled, it’s accessible for much of the year, depending on what you want to do and where you want to visit, and there’s great variety – you can climb a mountain, enjoy safari on foot, bicycle and by 4WD, spend nights under canvas or in luxury lodges, head for the beaches or escape to the hills. The Northern Circuit parks (Serengeti, Ngorongoro, Manyara and Tarangire) are a great destination for families and first-time visitors. 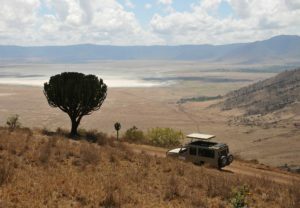 Your journey includes descending steep crater walls to the floor of the iconic Ngorongoro Crater. 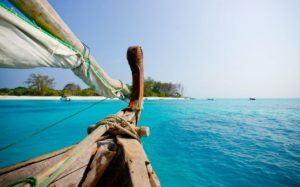 Our tip – don’t try to do too much if short on time and if budget allows – fly back from the Serengeti (…and on to the beaches of Zanzibar!) The south offers vast reserves (Selous and Ruaha) where traffic density is very low and wildlife encounters are hugely rewarding. 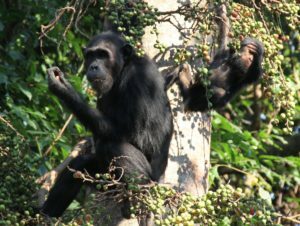 We also organise fly-in safaris to the remote western area of Tanzania (Mahale and Gombe) for adventurous chimp trekking or if adventure is what you seek – how about climbing Kilimanjaro? 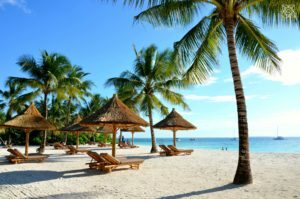 Tanzania has been out of the spotlight for the last couple of years – the governments decision to impose 18% tourism tax on services previously exempt from tax, with only a few weeks notice back in July 2016, was undoubtedly damaging to visitor numbers. However, a couple of years on and things have settled. 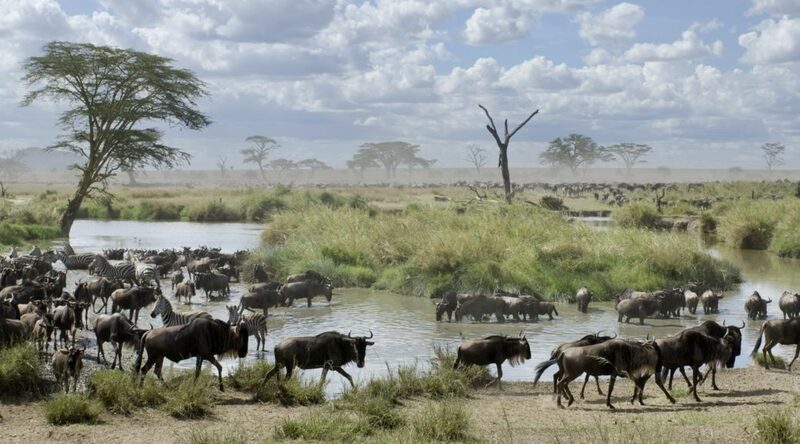 Tanzania has seen new camps/lodges open, there are some competitive airfares, with airlines like Qatar flying into Kilimanjaro (Arusha) and Zanzibar, there’s a new online visa system and efforts continue to safeguard migration corridors and protect wildlife. 25% of Tanzania’s land is protected and the growth and success of eco-tourism is hugely important to not only the wildlife, but to local communities. With such an undeniable bounty of natural riches, we see Tanzania coming back strong in 2019. 1.The Wildlife Tanzania has the largest concentration of animals in Africa – we’re talking 4 million wild animals. The Serengeti is a must-visit for a dizzying diversity of species, including an impressive list of predators. Rhino remain hard to see but they are there – you may be lucky and get a glimpse in the Moro Kopjes area, or in the neighbouring Ngorongoro. 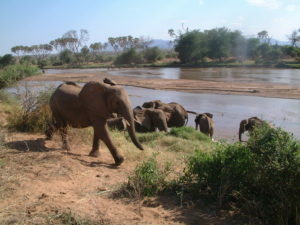 Tarangire is the best place for huge impressive herds of elephants while the west of the country is where you can search for primates in the beautiful Mahale Mountains or world-famous Gombe National Park, where Dr Jane Goodall has been so influential in the conservation of chimpanzees. Marine reserves around the Spice Islands offer safe haven for turtles, rays, dolphins, whales and other species. 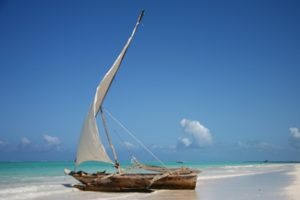 Whether you want a Robinson Crusoe meets Jacques Cousteau experience at somewhere like Pemba or Mafia Island, or to relax on the soft sands of Zanzibar watching the dhows sail by plus a night or two in atmospheric Stone Town, Tanzania offers plenty of opportunity to dip your toes in the Indian Ocean. 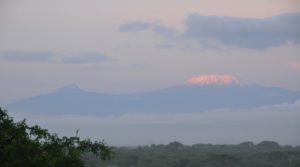 Majestic Kili at 5,895m is Africa’s highest peak and the world’s highest walkable mountain. Gaze in awe at its snow-capped peak or become one of the 25,000 trekkers scaling its slippery slopes annually. There are over 160 different tribes living in Tanzania. Getting to know a bit about the local customs and culture is a major part of a trip to Tanzania – you’ll find the people warm and incredibly hospitable. The best way to get to grips with the Northern Circuit parks is to head off in your own private 4WD with a driver/guide. All our guides are local and take great pride in introducing you to their country. 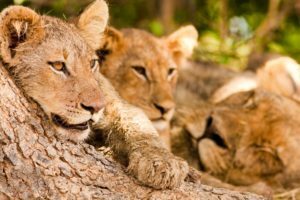 To find out more about holidays to Tanzania you may like to browse the information pages on our website. On a Shoestring ? 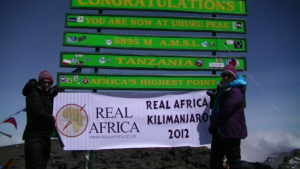 See Small Group Escorted Safari here. Looking for luxury? See sample Tanzania in Luxury Safari here. 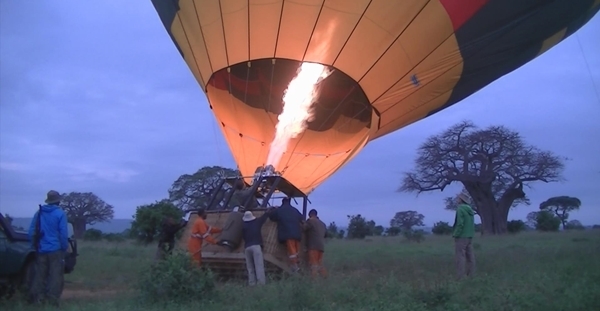 For the Ultimate Tanzania Safari please click here. Tanzania now offers an easy online visa application service – single entry visas are $50USD and can be paid online with a credit card. We are very excited about this addition to the Lemala portfolio allowing guests to combine Lemala properties in the Serengeti, Ngorongoro and Tarangire. Each of the 15 spacious tented suites have been carefully positioned to maximize views over Tarangire. All offer en-suite bathrooms, private decks, sunken outside lounges that convert to afternoon siesta beds and one of the suites has two bedrooms, perfect for families. The elevated main lodge has a large lounge and bar, indoor and outdoor dining areas, a spa and swimming pool. 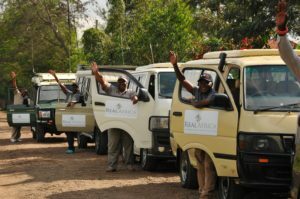 Sundowners, early morning walks and game drives in new custom-designed vehicles accompanied by Lemala’s highly-knowledgeable and experienced guides are some of the activities guests can look forward to during their stay. 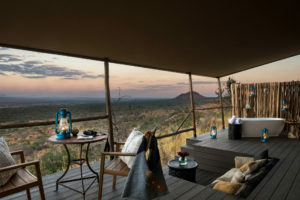 Lemala Nanyukie Camp opened to guests in October 2018 and is located a 45-minute drive east of the Seronera Airstrip in the park’s central region, and is superbly located with outstanding views across the plains. 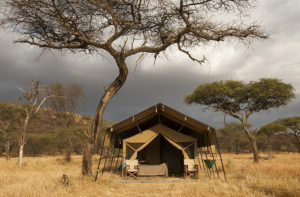 The camp itself sits on a grassy savanna dotted with rocky kopjes and shaded by ancient giant acacia trees. There are just 15 guest tents. 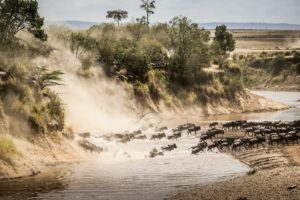 Melia Serengeti Lodge – this is the first state-of-the-art sustainable hotel by MHI, and the hotel of around 50 rooms offers ‘off the grid’ living and a great viewpoint for the annual migration. This new -ish property suits people not keen on tented camps and after a few more facilities. It’s a lot bigger than most of the properties we tend to offer but we like the commitment to sustainability. Kati Kati Mara/Ndutu camps are solar-powered stripped back ‘explorer style’ mobile camps complete with safari bucket showers. The camps are positioned to get you to the heart of the action and move seasonally for the Great Migration. Kati Kati Mara is located in northern Serengeti for the river crossings (Jun – Oct/Nov) and Ndutu is in the southern Serengeti for wildebeest calving season (Dec – Mar). There are 11 tents plus one family tent. 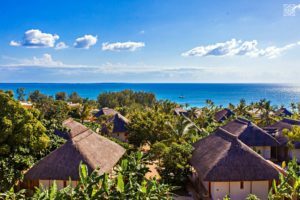 Zuri Zanzibar opened in summer 2018 and offers guests access to one of the most beautiful (and non tidal) beaches on Zanzibar, Kendwa Beach. Zuri sits on the north-west shore around 50km from Stone Town. There are 55 suites, villas and bungalows with sunset views. This would be great for a few days after a safari or as a week long holiday in its own right. Robert, one of our Directors, is just back from Tanzania and writes about his experiences of the Northern National Parks – Tarangire, Lake Manyara and the Ngorongoro Crater – as they wait for the dry season to end and bring much needed rain to the land and relief to the animals. They certainly didn’t exaggerate about the number of elephants in Tarangire. Having never been to Tanzania in October at the end of the summer dry season, it was one of the things I was looking forward to. We’d only been through the National Park entrance gate for 10 minutes or so when the first group, a family of about ten, walked past. Let by a grand matriarch, and with a couple of youngsters being hurried along in the middle of the group, we stopped to let them cross the track as they head towards the river for a drink. Later that day, on the afternoon game drive, we saw lots more as we explored the south of the park. Mostly in smaller groups, Hashim our guide explained that the big herds had split up because of the scarcity of water. I could see what he meant. 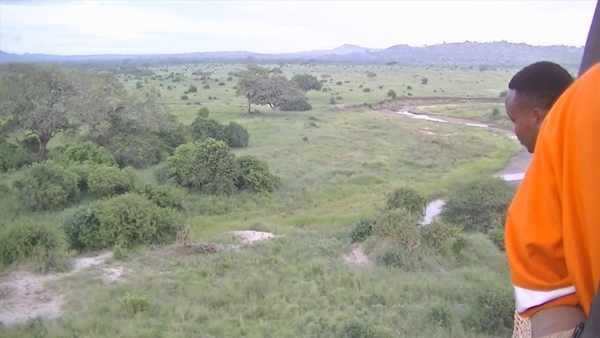 The Tarangire River was down to the size of a stream and many of its tributaries had dried up completely, large holes dotting their beds where animals had dug in the sand looking for a drink. One larger family, with about 15-20 members, walked alongside us for a while. They turned and crossed in front of us, heading for the marsh areas of the reserve, now seemingly little more than dusty plains. The larger elephants stopped and watched us as the youngsters crossed about 30 metres away, calmly but carefully watching us. Their caution was palpable and justified. Tarangire is an unfenced Park, the elephants travelling in corridors to other Parks and reserves, leaving them exposed to poachers whose activities have increased again given the ridiculous prices paid in Asia for Ivory. At least for now they were safe. The landscape was brown and arid, hardly any green to be seen except on the top of a few trees where the vegetation was out of reach to the giraffes. Man smaller trees and shrubs had been pushed over by elephants as they searched for food. It made the game-viewing easy, with no tall grasses or bushes to obscure your view, and the large herds of buffalo throwing up large dust clouds as they moved on in search of water and grazing. Lake Manyara: lush forest to dry foreshore. Next stop was Lake Manyara National Park, only a couple of hours away along a good tarmac road. Its entrance is near the small town of Mto wa Mbu which appears out of the dusty plains like an oasis in the desert. Watered by streams that flow from the tall escarpment that dominate it, its fields and plantations grow maize, cereals, bananas, mangoes and many other crops that are sold in the nearby market. We stopped and I was joined by a local guide, a young woman called Helen who was from the village and had just qualified from University as a guide. We wandered off into the fields, passing hamlets and houses, talking to women in the fields and children on their way back from school. I’m not a big one for cultural tours but this was excellent, a relaxed unobtrusive insight into the everyday life of these people. I ate a red banana, drank some banana beer and bought some mangoes in the market. Entering into Manyara, the whole landscape was immediately different from Tarangire. Similarly to Mto wa Mbu, it lie on the floor of the Great Rift Valley, tucked up under the escarpment whose springs provide water even at the end of the dry season. I had the feel of a lush, tropical forest, with the birdsong to match. The track crossed numerous streams, each running through thick, green foliage and with a myriad of butterflies darting through the sunlight. Spotting game is harder. We saw a small herd of buffalo carefully watching us from a safe distance. Some tiny dik-dik, a small antelope, grazed beside the waters, their bodies trembling with a nervous energy generated from being the bottom of the food chain. The bird life was spectacular, from eagles to bee eaters. When we reached its shore, much of Lake Manyara looked like a white, salt pan. Its soda waters had receded to about a quarter of its normal size as it awaited the small rains of late October/early November. A line of wildebeest walked in single file along its shoreline, with a couple of giraffe standing out in the wide, open spaces alone, like solitary trees. Dust devils twisted their way across the landscape, pulling dust high into the sky. Behind it all rose the escarpment, the end of the Great Rift Valley in which we were standing, and the start of the Ngorongoro Highlands. We returned to the gate via the lush forest, a contrast that makes Manyara, in my opinion, one of the most diverse. We forded a small river, waved enthusiastically as a bus load of local school children on a school outing, their shrieks of excitement as they hung from windows competing with the noise of the park and started the climb out of the Rift valley. The Ngorongoro Crater: Brown grass and no shade for the panting game. My last stop was the Ngorongoro Crater, no more than an Hour and a half from Manyara. At the entrance to the National Park is where the tarmac runs out. This is the road to the Serengeti and on to the Kenyan border and the Masai Mara. It’s a track the whole way, well maintained and graded, but slower than on the tarmac roads enjoyed to this point. Wildebeest walking towards a waterhole in the Ngorongoro Crater. The weather had closed in, a thick cloud obscuring the sun and a light rain had fallen. We started the climb from the Park entrance towards the rim of the crater but came to a sharp stop in a traffic jam. I’m used to these on the motorways of the UK but half-way up an extinct volcano I rural Tanzania, it came as a bit of a surprise. We got out of our 4×4 safari vehicle and walked p the queue, meeting a large group of Masai, all carrying bags, coming towards us. It was their bus, they informed us. The rain had made the track too slippery for its worn tyres to grip on and it had slid into the gutter at the side of the road. Looking up at the sound of excited voices, we saw their bus heading towards us, pushed by an enthusiastic crowd as it bumped its way along the raised bank. Lucky for them, Hashim remarked, that they were stuck on the uphill side of the road. The drop on the other was enough to get your eyes watering. It bounced past us, disappearing into the mist, and we resumed our journey. At the edge of the Crater we turned back eastwards, driving in the mist around the rim until we found a less used access road in. It’s a 2,000 descent to the floor of the crater, and within moments of starting we dropped from the mist and had the whole Ngorongoro Crater before us. The cloud we’d been in sat on the southern edge, the rest was in brilliant sunshine. It was spectacular. On the far side was the lake and the fertile marshlands watered by a spring and still green. It is this spring hat gives the crater its name. Used by the Masai to water their herds in the dry season, the long climb down and back up made the rough bells that the cattle wear constantly ring. The word “Ngorongoro” means this, roughly translated as “always ring and ring”. We passed German Hill, the location of ranch established by early settlers but long since vanished. Lions got up and stretched in front of us, distant rhino grassed in the northern marsh. As the heat grew, the animals slowed and stopped. With hardly any shade in the Crater they had nowhere to retreat to, so simply stopped moving. Wildebeest stood in groups, a hyena lay beside the track asleep, lions did what they did best – nothing at all. A safari in Tanzania in October? A Real Africa safari vehicle and one of our guides Hashim. So, was it good to visit Tanzania on a safari holiday in October? It was excellent, different from my other trips. It was dry and dusty, rivers were low or dry, lake shrunken and the landscape brown. It was the image of a parched Africa and the game-viewing, unobstructed by foliage and grasses was excellent. I like rainy seasons normally, a couple of hours rain a small price to pay for experiencing the fresh, verdant landscapes as the plains spring to life. Game-viewing is more difficult, tracks become impassable, but I like the colour. Now I like this landscape too. And the elephants in Tarangire were worth the journey in themselves.